If you are applying for New Zealand residence via the Skilled Migrant Category a job offer in New Zealand makes a huge difference to your eligibility. In New Zealand most jobs are advertised in newspapers or on job and company websites. Most of these jobs are filled quickly, often within a month, which you need to bear in mind when applying. Instead, you could join an agency to search for work on your behalf or keep an eye on UK publications which employers advertise in to attract migrants. Some New Zealand employers travel to job and migration expos around the United Kingdom. The expos provide a valuable opportunity for you to meet New Zealand employers in person, or join up with an agency which can place you in a job in New Zealand. Most of the migration shows occur in March and October. 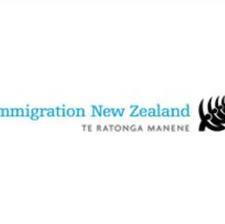 Upcoming events are listed on the Immigration New Zealand website. If you decide you have skills or experience which could benefit a particular company, you can approach companies directly by ringing them, or emailing your CV through to a potential employer. If you are going to visit New Zealand prior to moving it is a good opportunity to meet with prospective employers, as many will prefer to meet you before offering a position with their company. You should also take into account that generally New Zealand CVs are larger and more detailed than typical UK ones. An agency can advise the best format for the role you are applying for as there are slight differences between professions. For guidance on transferring your CV to the New Zealand style visit www.worksite.govt.nz. The Worksite website is a good source of information on all aspects of work. It can point you to information on everything work related including tax, employment rights, working conditions and industry and job information. You can find more information on New Zealand immigration options, including the Skilled Migrant Category, at www.immigration.govt.nz.